Easter Weekend, On Good Friday, I walked into the ER with Chest Pains. Based on the tests, The Doctor said I had a heart attack within the last 48-72 hours. So, I had heart attack, didn’t know it and lived through it for almost 3 days?!? Now, don’t get me wrong, I am not the healthiest person alive. I have untreated high blood pressure and cholesterol, I am overweight for my age and height. I also don’t eat right every day. Even so, I was running/walking miles daily, watching my carbs and sugars and working on myself in general. The Doctor did a cardio cath to see what was going on and he wanted to stent. But, the damage was done. The blockages were too bad 95% in one artery and 75% in another. The places in my arteries I had the blockages were too difficult to stent. The Doctor reccomended I have open heart surgery to save my life. As the Doctor explained everything to us, I felt numb. I just couldn’t believe this was happening. Even today I am still trying to wrap my head around it. I had triple bypass open heart surgery and am in recovery. I am thankful to be alive and I am doing my best to take care of myself and be the healthiest me possible. This verse is true physically, emotionally and spiritually. 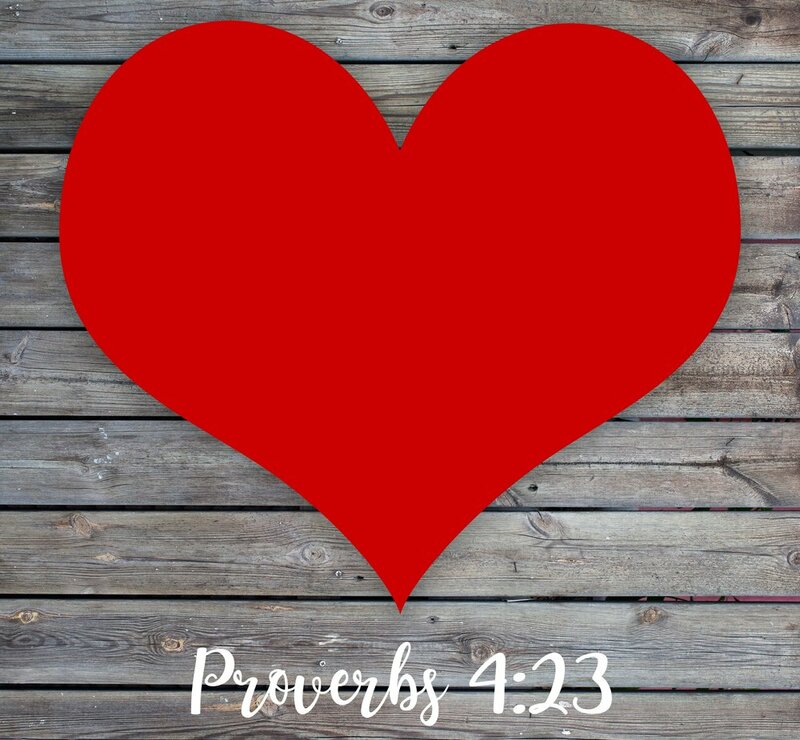 I pray that every time you see it, you are reminded that having a healthy heart is vital to living the best life possible. Protect your heart in all ways. See a Doctor if you are having issues with your heart.